Forget Tootsie Pops and Hershey’s—a new Halloween candy is taking WNC by storm. OWL Bakery in West Asheville elevates marshmallows and gummy worms by ditching high fructose corn syrup and adding complex flavors. 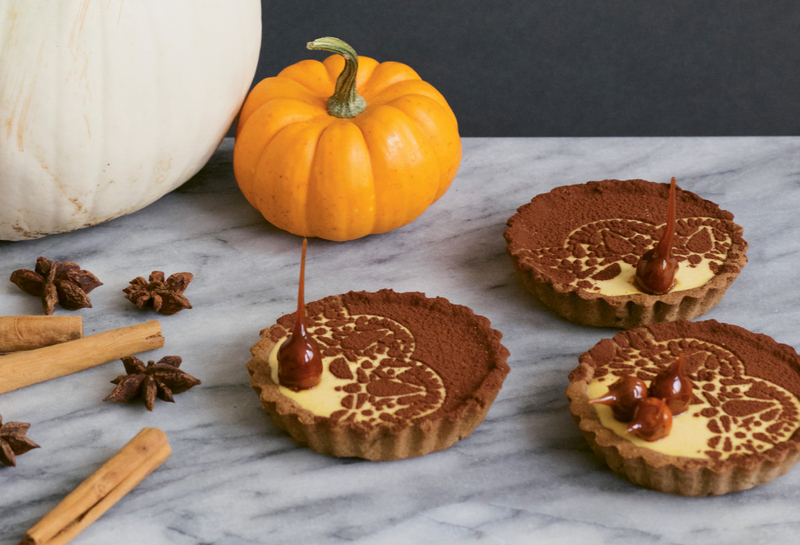 Treats come in festive Halloween pastry boxes paired with dark-hued delicacies like carbonized apple tarts. “We try to think of traditional Halloween candies or treats and add our own spin on them that adults might find more interesting,” says OWL co-owner Maia Surdam. In October, OWL hosts an annual daytime celebration of all things spooky. The nonprofit Wild for Life brings live owls to the bakery’s leafy courtyard, and nearby businesses in the Beacham’s Curve neighborhood add their festivities to the mix. 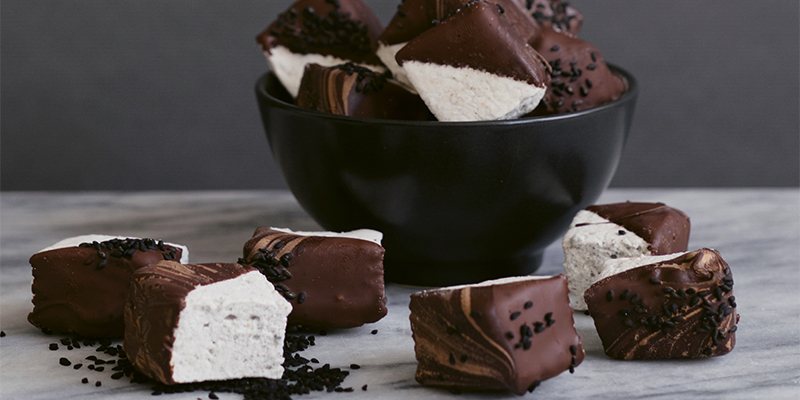 Co-owner Susannah Gebhart seeks inspiration from the season, adding that “anything autumnal strikes a deep chord in my heart.” Revel in the sweetness at OWL or make these sesame marshmallows at home. In the bowl of a stand mixer, add gelatin powder and hydrate with one-half cup water. Grease a nine-inch square metal cake pan. In a small, tall-sided pot, bring sugar, salt, three-quarters cup water, and corn syrup to a boil without stirring. When the mixture reaches a boil, place a lid on pot for two minutes. Once sugar syrup reaches 248°F on a digital thermometer, remove pot from heat and immediately turn stand mixer on medium speed. Pour syrup in a small stream into gelatin, then increase the speed to high and beat for seven to 10 minutes. When the matrix is white and satiny, add ground black sesame seeds. Once incorporated, remove bowl and pour fluff into greased pan. Use a greased spatula to smooth the top. Let set at room temperature for at least four hours or overnight, covered. When set, dust the top liberally with confectioners’ sugar, release the sides, and upend onto a piece of parchment. Sprinkle more confectioners’ sugar over the marshmallow block and use a greased knife or pizza cutter to cut even squares. Toss in more confectioners’ sugar and store in an airtight container. If desired, dip marshmallows in chocolate melted over a double boiler and let harden on parchment paper. October 29, 10 a.m.-4 p.m.